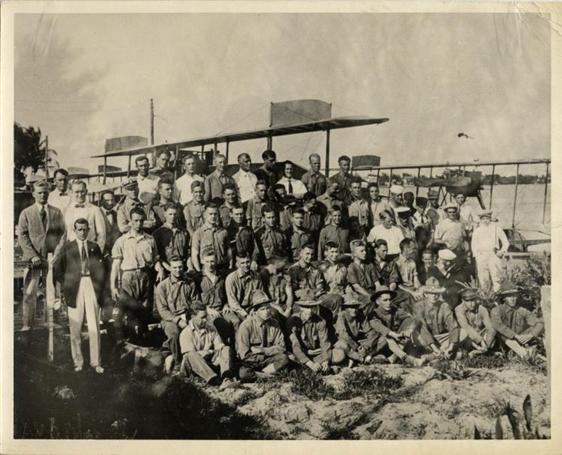 In 1916 as America faced a revolution in Mexico and full-blown war in Europe, a group of 12 friends at Yale University decided it was time they learned how to fly. 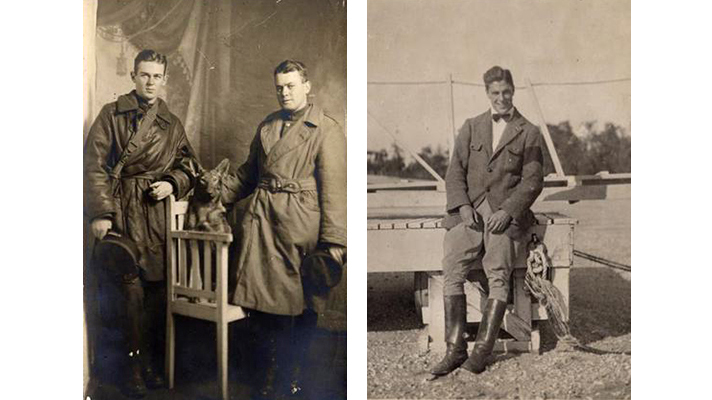 That summer the young men, led by Frederick Trubee Davison ’18 (1896–1974) — manager of the Yale crew team — formed the Yale Aero Club and the volunteer Coastal Patrol Unit #1, later known as the First Yale Unit. 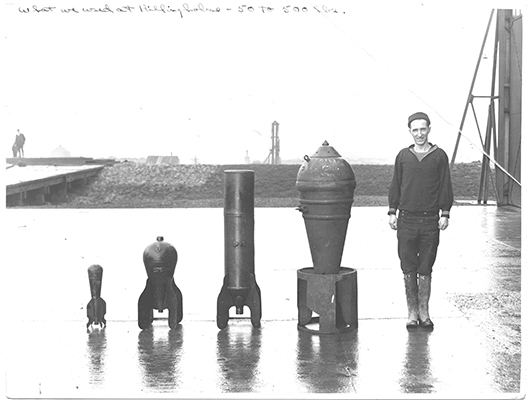 They would become the country’s first naval aviation unit in World War I — the eyes in the skies that spotted enemy troops and land mines, chased U-boats and zeppelins, and engaged enemy planes in battles over Europe. They came from great wealth, social standing, and privilege. 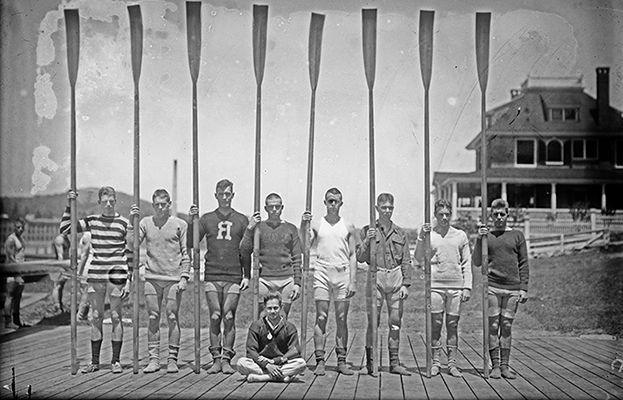 With surnames like Rockefeller and Gates, members of the First Yale Unit were star athletes and students, part of the “silver spoon” set. Schooled in leadership, service, and sacrifice, they were willing to risk everything to join a war 4,000 miles away in Europe. After convincing his parents that it was his duty to fight for those who could not fight for themselves, Davison recruited several classmates and members of the Psi Upsilon fraternity to join him in the Coastal Patrol Unit. Among those were his younger brother, Henry P. Davison Jr. ’20; Allan Ames ’18; John Farwell III ’18; Artemus L. Gates ’18; Earl Gould ’18; Robert A. Lovett ’18, Albert Sturtevant ’16; John Vorys ’18; and Yale graduate C.D. Wiman ’15. There were also two non-Yale men, Wellesley Laud-Brown and Albert Ditman. Davison had seen firsthand the devastating effects of a war-ravaged Paris during trips to Europe with his father. While there in 1915, he joined the American Ambulance Field Service, transporting soldiers to hospitals outside Paris, making him a war veteran even before he learned to fly. During this summer, Davison recognized the potential military advantages that a crack air unit could bring to allied troops. 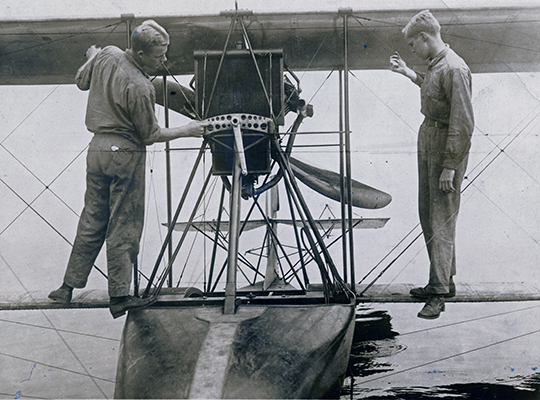 The main problem before the would-be pilots, however, was learning how to fly. 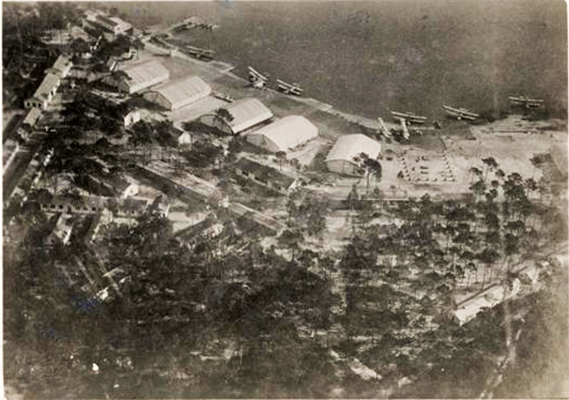 At the time, there were no proper training schools in the area, and the U.S. military was woefully behind in developing an aviation program to support naval operations. 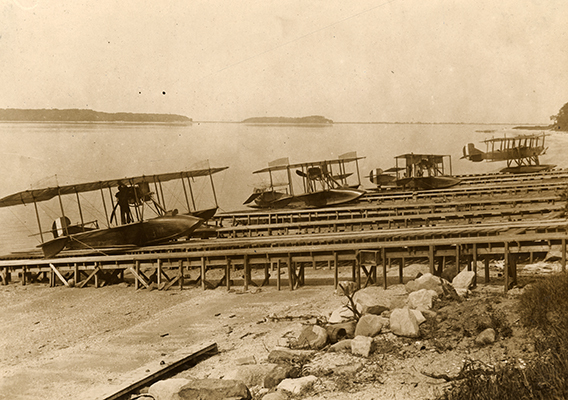 Without planes or instructors, the Coastal Patrol Unit wasn’t going to go far in its endeavor. Rodman Wanamaker, a department store magnate in New York and Philadelphia, had the answer. 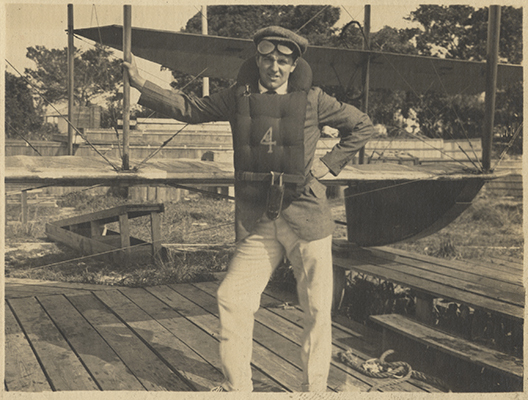 He had just opened a flying school in Port Washington, on the north shore of Long Island, and offered the students a Curtiss flying boat, along with the services of instructor David McCulloch, who would go on to great distinction in WWI. 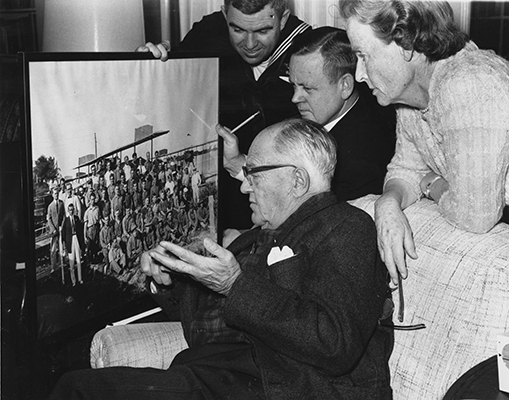 Outfitted with a plane and coach, the members of the Yale volunteer civilian unit — still attending school full-time — learned how to clean and maintain planes and took part in training exercises with battleships, destroyers, and coastal patrol ships. In February 1917, the United States formally broke ties with Germany and made plans to declare war, which it did two months later on April 6. The news of impending war spurred additional students to join the volunteer flying unit, including Charles Beach ’18; Graham Brush ’17; Reginald Coombe ’18; David Ingalls ’20; Robert Ireland ’18; Francis Lynch ’18; Kenneth MacLeish ’19; Archibald McIlwaine ’18; Curtis Read ’18; Russell Read ’20; William A. Rockefeller ’18; Kenneth Smith ’18; W.P. Thompson ’18; C.M. Stewart ’17; and Samuel Walker ’17. 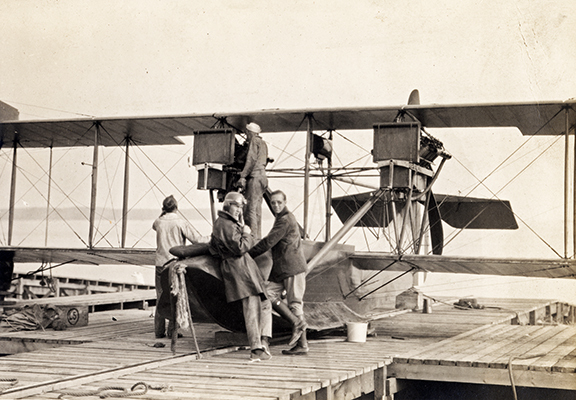 On March 24, at the Naval Submarine Base in New London, Connecticut, the Yale pilots formally enlisted, becoming the Navy’s first air reserve squadron, the First Yale Unit. As their leader, Davison was given the rank of lieutenant, junior grade. Seven others were given the rank of ensign; the rest were made petty officers: electricians and engineers. Soon after they headed to Palm Beach, Florida, for military training. While there, they flew solo flights, practiced shooting kites with machine guns installed in airplanes, dropped dummy bombs on targets below, and mastered the art of landing a plane in tight spaces. 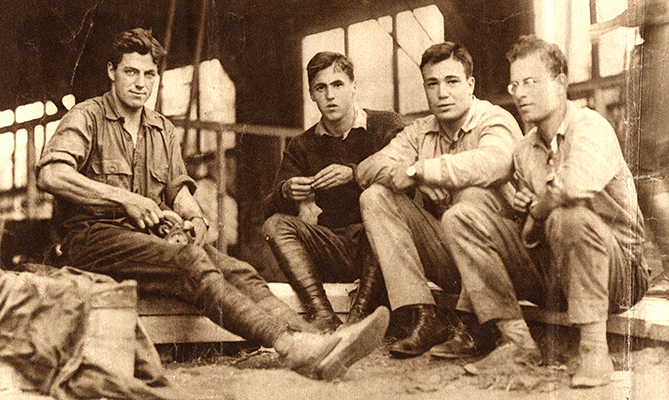 While the U.S. military didn’t take notice of the young pilots, Yale certainly did. Hundreds of students applied to join the First Yale Unit, but there simply weren’t enough planes or facilities to expand beyond the original 30 members. The pilots’ popularity also made them prime candidates for another great Yale tradition. April 19 was Tap Day in New Haven, the day that Yale juniors are picked for secret societies. Despite being hundreds of miles away, two representatives from Yale arrived in Florida to “tap” their fellow students at noon. Not surprisingly, Davison was the first to be tapped (Skull & Bones) as were 11 other members of the First Yale Unit. A 1917 issue of the Yale Alumni Weekly (YAW) trumpeted the accomplishment of the Yale men who formed the country’s first naval aviation program, adding that the university’s Reserves Officers Training Corps had sent 500 men to training camps in the United States “to prepare for the duties of artillery officers.” In addition, more than 100 other students who had failed the physical exam, for reasons such as short-sightedness, had joined the Ambulance Corps. Another 700 young men had enlisted in the armed forces. 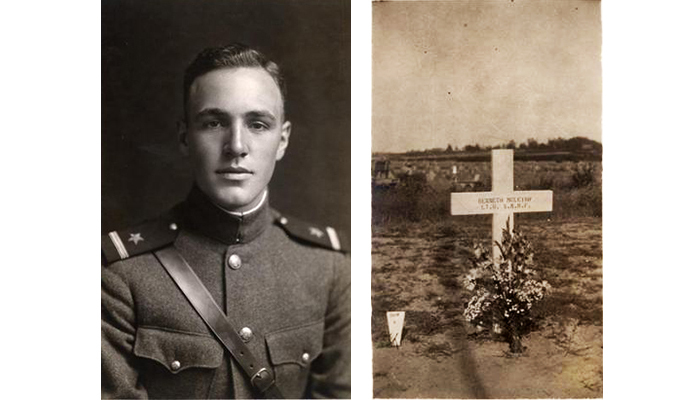 In total, nearly 9,500 Yale students and alumni fought in World War I; 227 died in combat, and 33 received the Distinguished Service Cross. 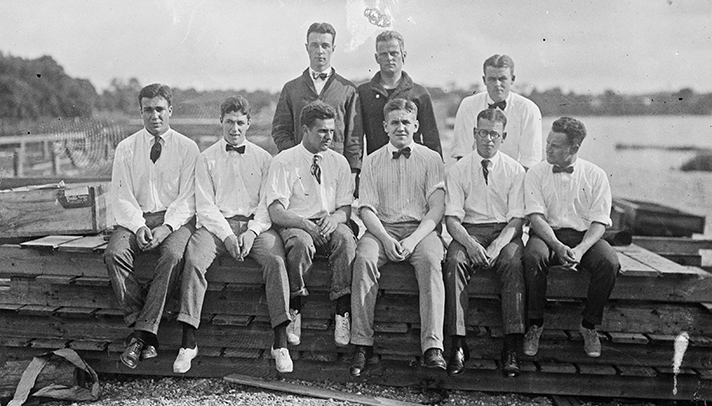 For the young men training in Florida, the hot, humid summer made exercises almost impossible. The unit moved back north to a facility off Huntington Bay, Long Island, where they completed their training and began deployment overseas. Not all Yale students who joined the First Yale Unit saw action, however. 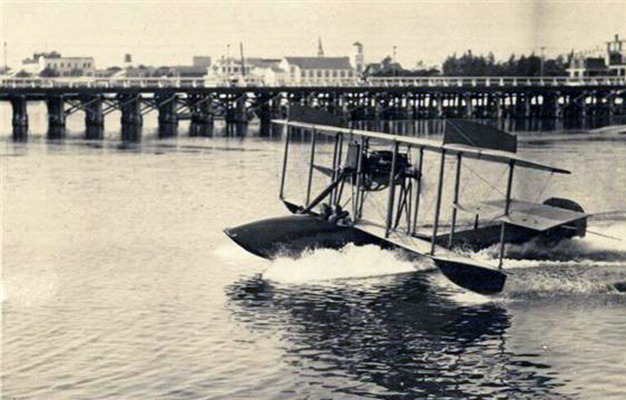 Ironically, Davison was badly injured in his final test for the Navy, crash-landing into the water where his plane began to sink. 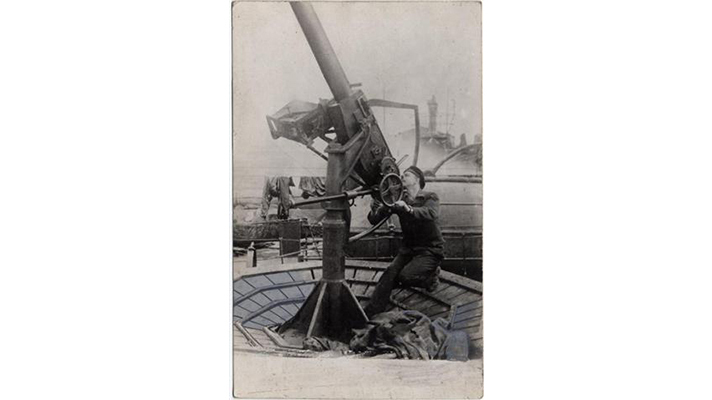 He was pulled to safety but had broken his back, ending his career as a WWI Navy pilot before it began. He stayed stateside most of the war, only traveling to London after receiving news that two of his friends — Gates and MacLeish — had been shot down. 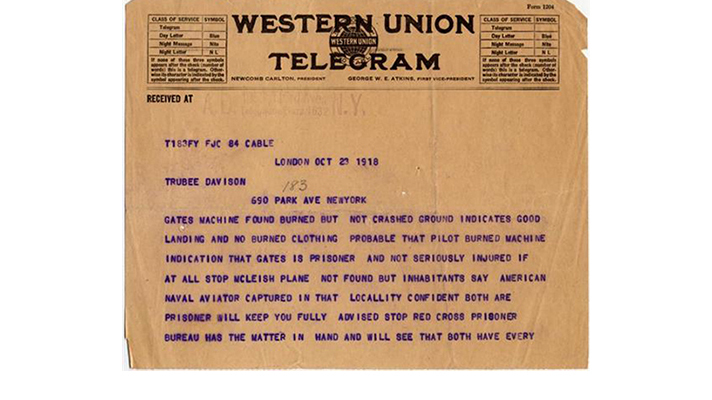 Davison directed the search for the missing pilots, who were not presumed to be dead, but prisoners of war. Gates would be released by the Germans following the armistice; MacLeish's body was found near his wrecked Sopwith Camel in a Belgian farmyard. 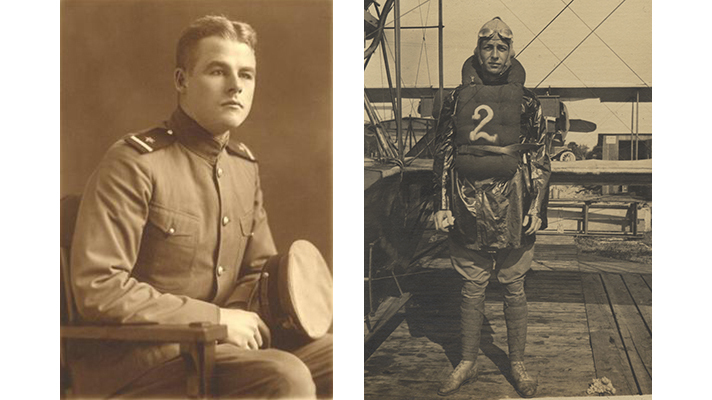 Sturtevant and Read were also casualties (Sturtevant was the first U.S. naval aviator killed in action in WWI). 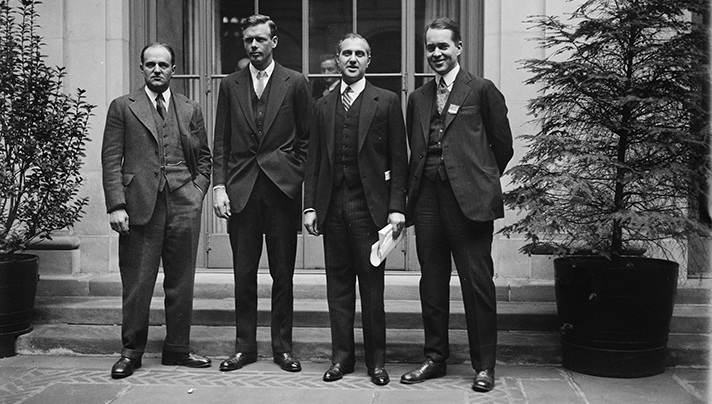 Davison went on to earn a law degree from Columbia and became the assistant secretary of war for air (1926–1932). A year after leaving that post he became president of the American Museum of Natural History, and in 1951 he was appointed a trustee of Yale University and also became the first personnel director of the newly formed CIA. His fellow pilots distinguished themselves in battle and at home, serving as instructors and growing the naval aviation program in the United States and abroad. Many of them played prominent roles in WWII as secretaries of war for the air, navy, and defense. David Ingalls went on to attain the rank of rear admiral and was the U.S. Navy’s first flying ace. Yale’s Ingalls Rink, a.k.a. “The Whale” — designed by Eero Saarinen in the 1950s — is named in honor of Ingalls, who twice captained the Yale hockey team, and his son David Jr. '56, who served as captain of his freshman and varsity teams. Davison held annual reunions for the First Yale Unit in New York City. At the 50th reunion he was awarded the navy wings he failed to receive at his final training test so many decades ago. A group of Blue Angels flew over the ceremony trailing streams of red, white, and blue smoke, close to the site where the First Yale Unit learned to fly. A good source for more information on the First Yale Unit is Marc Wortman’s book, “The Millionaires’ Unit: The Aristocratic Flyboys who Fought the Great War and Invented America's Airpower” (2006). A documentary film is planned for release this year. 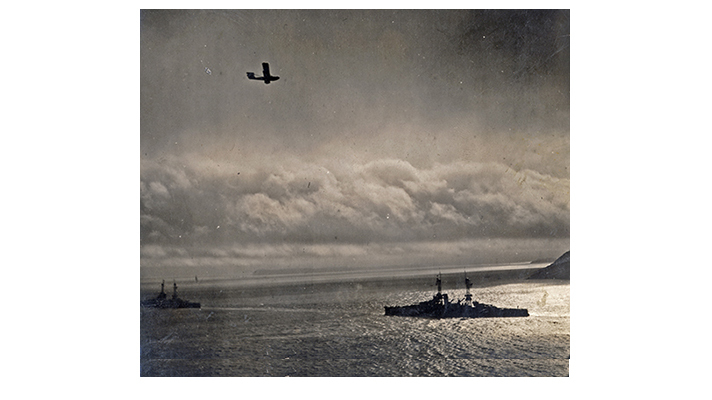 For more on Yale aviation immediately following the First World War, see “When Elis Ruled the Skies,” an article by Judith Schiff, chief research archivist at Yale University Library, which first appeared in Yale Alumni Magazine (1999).